Early on the morning of September 27th, 1943, the distinctive baritone thunder of a Merlin engine rose over the base of No.410 Night Fighter Squadron RCAF, at Coleby Grange, Lincolnshire. This was a Mosquito base, so the sound of a single Merlin was nearly always bad news. A Mosquito was difficult enough to land with both turning. But the crew of this particular Mk.II NF, serial DZ757 and wearing squadron codes RA-Q, had even bigger trouble on their hands. Flight Lieutenant M A Cybulski (RCAF) was managing to keep his engine-out twin on course with almost the entire fabric covering of his rudder burnt away. To all appearances, there simply wasn’t enough surface left to resist the off-centre power of the remaining Merlin. What’s more, the fabric covering the wooden fuselage, the inner port wing, the starboard wing underside, and the port tailplane had been severely burnt and torn away in chunks by the slipstream. But whatever had already happened, landing was still going to be the most dangerous part of this mission. And yet, Cybulski and his invaluable Navigator Flying Officer H H Ladbrook did land safely, to be greeted by ground staff staring at them with a distinct mix of shock and awe. RA-Q had taken off into the previous night on an interception patrol. Bombing raids on England were less frequent by 1943, but nuisance raids continued and Lincolnshire’s airfields were a popular hunting ground for Luftwaffe intruders. 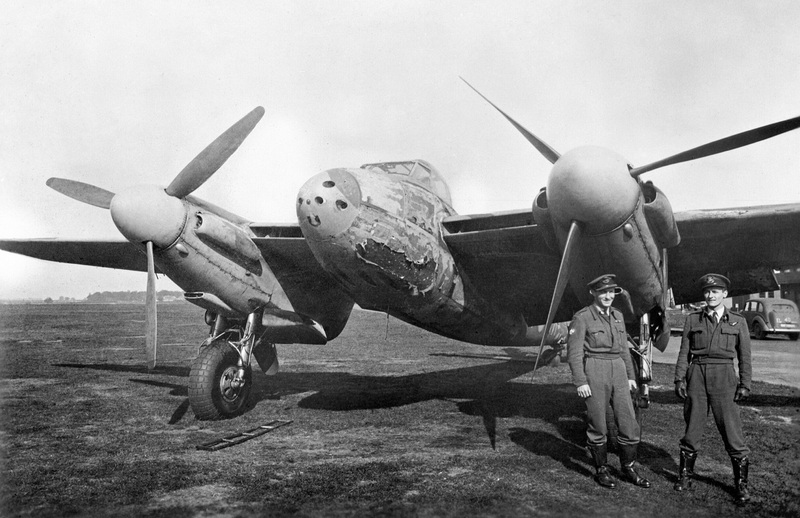 With its excellent endurance, air interception radar, plus a lethal battery of four .303 Brownings machine guns and four more 20mm Hispano cannons all grouped in the nose, the Mosquito was a devastating nocturnal defender. Hours later, Cybulski and Ladbrook were vectored onto a homeward bound Dornier Do.217 raider, which was being tracked across the North Sea. As they approached the Dutch coast, Ladbrook picked up the bomber with the on board radar and guided Cybulski in for the kill. Somewhere over the Zuider Zee the shape of the Dornier loomed out of the darkness, and Cybulski realised the Mosquito was closing too quickly. He chopped the throttles and pulled up to lose speed, then dropped the nose again and opened fire from a range of, by now, just 100 feet (30 metres). The awesome arsenal in the Mosquito’s nose obliterated the Do.217. 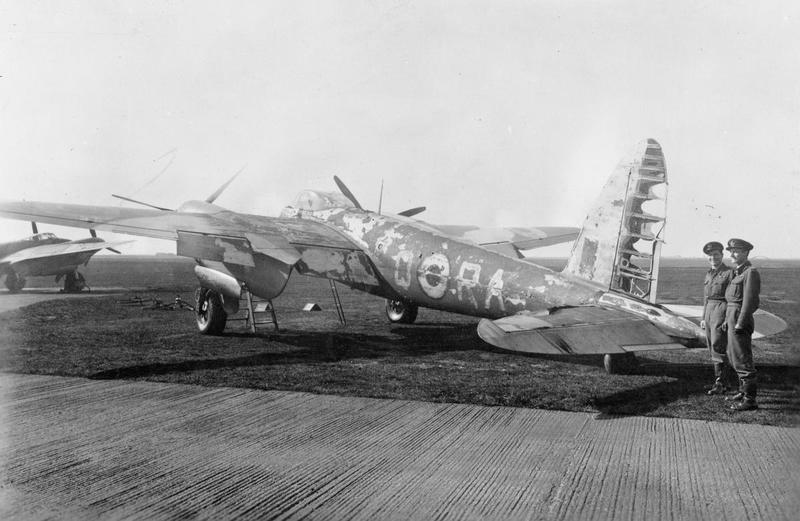 It simply exploded, drenching the wooden fighter in burning fuel and bits of broken aircraft. The fate of it’s three crew is easy to imagine. After hours of night flying, Cybulski was blinded by the sudden explosion and, with the throttles closed, the Mosquito fell out of the sky. Fortunately, Ladbrook was able to recover the aircraft when it had fallen some 4,000 feet and return control to Cybulski. The dive blew out the fire, however debris from the Dornier had damaged DZ757’s port engine and it had to be shut down immediately. 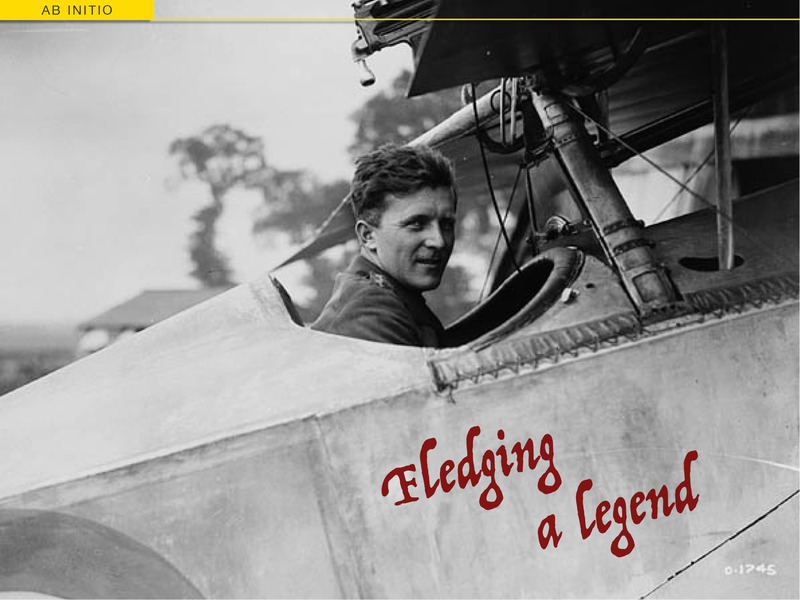 Holding full rudder and a good measure of bank to stay straight, Cybulski steered the crippled fighter back to Coleby Grange over 200 miles away, on one good engine. Then landed safely. It was an amazing feat of flying, as well as proof of the Mosquito’s surplus power and survivability. Shortly afterwards, both Cybulski and Ladbrook were awarded well-deserved Distinguished Flying Crosses for the flight and their ‘other outstanding work’ with No.410 Squadron. An amazing story, to get the aircraft back in that condition must have taken great skill and determination. I reckon! I don’t actually have a twin endorsement, but I understand the theory and you need rudder – lots of it. It’s incredible that they got home on the framework alone. Definitely. Worthy of a reblog! Pierre, thanks for the reblog and the heads-up about RAF 23 Squadron. I’m checking it out right now. I have written a lot. You can use anything in it on your blog if you want to. Thanks for the generous offer. I’ll keep my eyes peeled. I am now researching RCAF 410 squadron Boulton Paul Defiant. I have lots of photos never published. That’s sure to be an interesting study, Pierre. 410 only really used the Defiant for training/forming up – which was probably lucky as the heavy aircraft had already been deemed ‘not up to the job’ of frontline day fighting. The transition from s/e Defiants to the brutally powerful Beaufighter must have been “interesting” to say the least! Thanks so much for sharing the links to the history and all those candid photos. Do keep us posted on your research. Most pictures are taken at RAF Drem in March 1942. My father was Martin Cybulski. He taught me how to drive. I went skydiving once and when I told him he said one time he thought he was going to have to jump but that the North Sea was too cold. Another story about getting back home to land. Thank you for your article. Thanks for reading and sharing your story, Catherine. Let’s assume we’re all talking about the same incident – and what a delightful twist! I’ve heard other stories of pilots looking at the North Sea and deciding to stick with their aircraft just a little longer, but your father’s version must still rate as one of the most extreme and highly skilled.